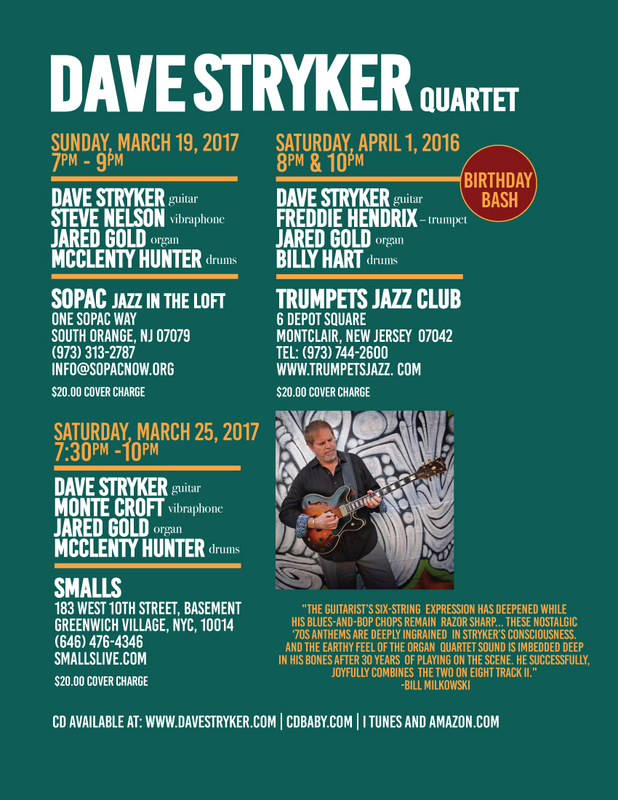 nj arts maven: ESPECIALLY FOR JAZZ LOVERS: DAVE STRYKER QUARTET! Dave was recently voted once again into the 2016 Downbeat Readers and Critics Polls. His latest CD “Eight Track II” has spent 20 weeks on the JazzWeek radio chart and was voted a Top CD of 2016 (4 Stars) in Downbeat.